Just like our bodies, as house ages, wear & tear becomes inevitable. Sometimes those small cracks get larger, or major unexpected problems arise. We take our body to a doctor to get a physical. Occasionally, it’s a good idea to get a physical done on our homes. That’s where Detailed Home Inspections can help. Detailed Home Inspections serves property owners in two customary ways. In addition to a home inspection, we can help you with comprehensive radon testing, termites, well & water, septic system, and framing/pre-drywall inspections. When home ownership problems arise or are suspected, Detailed Home Inspections can provide detailed findings and a path to solutions. A pre-sale inspection from Detailed Home Inspections can also be an especially good decision if you plan to sell your home in the relatively near future. If the inspection uncovers any problems, you can make any necessary repairs on your time and spending schedule. 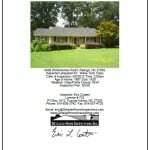 Or, you can disclose the problems during the sales listing and ease the process with potential buyers. We can help you understand the condition of the home before you are surprised by the buyers’ inspection. We have performed thousands of inspections of all types throughout the NC Triangle area, including Fuquay-Varina, Raleigh, Holly Springs, Cary, Apex, Morrisville, Durham, Chapel Hill, Garner, Clayton and Wake Forest. 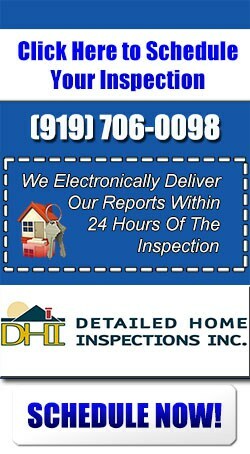 If you are interested in a home inspection, radon test, termite inspection, well inspection, septic inspection or framing/drywall inspection, please schedule it here, call (919) 706-0098 or email us at inspect@detailedhomeinspections.com.